Large- fits 5′8″ to 6′3″. XL- designed for taller 6′4″ and taller, or very heavy individuals. Standard -One size: fits short and tall individuals. XL- Extra large pad size for large or heavyset users. Multi-use XL Pad - designed for use on the Knee, Shoulder, Back, Hip, etc. 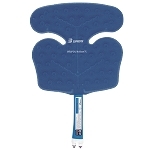 It is a very versatile pad for continued use beyond surgical rehabilitation. Ankle- Universal (one size), fits right or left. Hand/Wrist- Universal (one size), fits right or left. 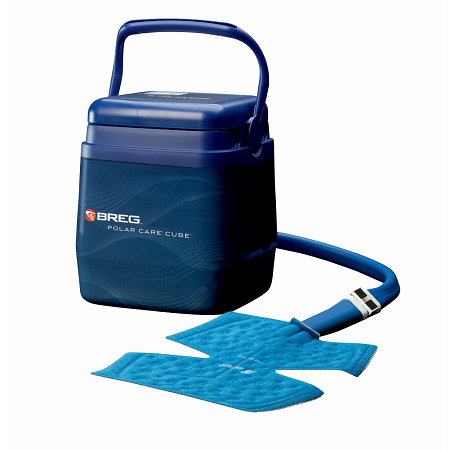 This system uses near freezing water circulated through a channeled bladder to deliver the therapy.. Due to it's unique construction, the continuous wear of the pad poses minimal risk of soft tissue damage to the patient when used correctly and not over-tightened.. This type of therapy is most effective in the first 48-72 hours following surgery or trauma but can provide pain relief for much longer. This system is, without a doubt, a patient favorite!